Add a little zing to your dippers! 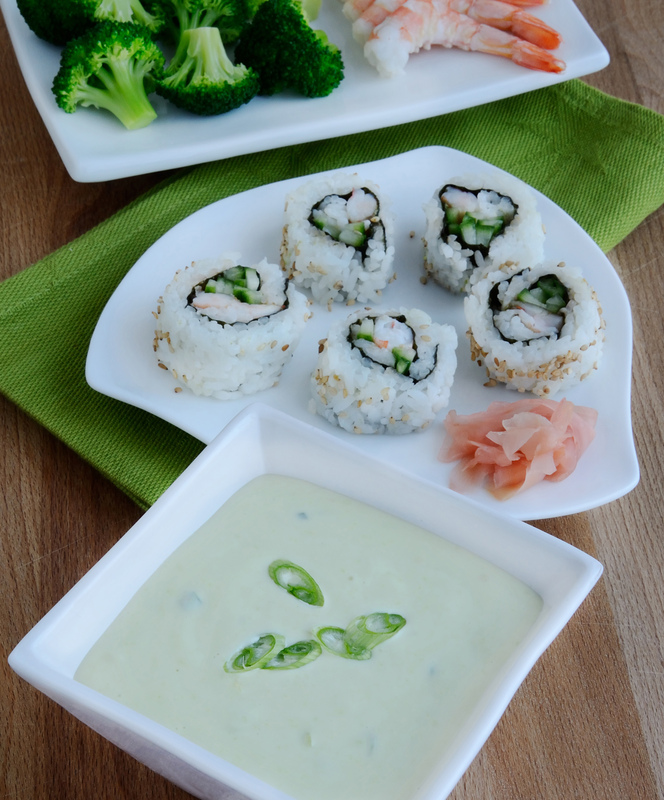 This zesty combo is terrific for veggies, shrimp, sushi rolls, spring rolls, fish sticks, cheese sticks – you name it. It also makes a lively “tartar sauce” for grilled or pan-fried fish. If you like it tangier and really spicy, splash in more rice vinegar and add a bit more wasabi. In a small bowl, stir together prepared wasabi and mayonnaise. Stir in seasoned rice vinegar, ginger and green onion. Refrigerate until ready to serve. Recipe may be doubled. Kitchen Tip: If using powdered wasabi, prepare it according to package directions and let stand 5 minutes before making the dip. Once made, taste dip and stir in more prepared wasabi, if desired. Combine ingredients in a small serving bowl. Let stand 10 minutes. Spoon sauce over pot stickers, egg rolls, crispy wontons or prawns; or use as a dip.